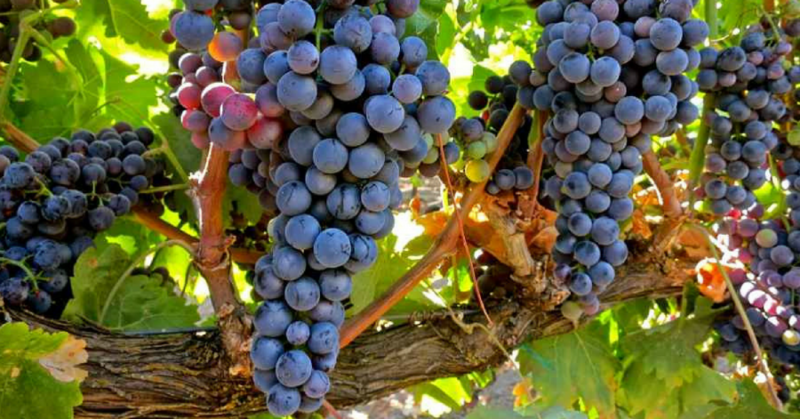 Predicted scenarios for global environmental change suggest alterations in the grapevine water status that can affect agronomic parameters and the synthesis of phenolic compounds in grapes, affecting the organoleptic properties of wines. In this work, 15 locations of a vineyard were selected. Grapes samples were collected at harvest time. The detailed phenolic composition of grapes was determined and correlated to hyperspectral indices, plant parameters and soil water status. Hyperspectral indices were calculated from reflectance spectra of both grapevine and bunches. These indices are related to plant canopy structure and vigor (e.g. NDVI, SAVI), to pigment contents (e.g. CNDI, Greenness index), and to water status. Plant parameters (leaf area index, chlorophyll and plant water content), hyperspectral and soil moisture measurements were taken throughout the vegetative growth. These results nicely outline the potential of the use of hyperspectral parameters for estimating grape phenolic composition before harvest.